Kitesurfing Lessons - IKO Center - Kiteboarding Courses - Kite training - Kitesurfaris - Kitesurf Holidays - Kitesurf gear package Deals - Kitesurfing equipment - Kite gear hire - Second hand packages - Kite Repairs - Kitesurf Gear Hire. Reef 2 Beach Surf, in Agnes Water - Queensland, runs a surf school every day of the year. All that is required is that you front up at the surf shop at 10.00 am and sign on, it's as simple as that. 132cm, freestyle, carbon fibre Pike Board Freestyle 2010 $ 999	 Pike Board Freestyle 2010, 132cm, freestyle, carbon fibre, few scatches ... as new conditions ! 1770 beach hire 1 Day (8h) 1 Day SUP Beach Hire in 1770 $ 70	 1 Day (8h) SUP equipment hire in 1770. 1770 beach hire 1 h 1 hour SUP Beach Hire in 1770 $ 20	 1 hour SUP equipment hire in 1770. 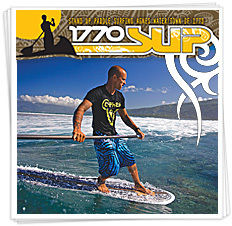 1770 beach hire 1/2 Day (4h) 1/2 Day SUP Beach Hire in 1770 $ 45	 1/2 Day ( 4h) SUP equipment hire in 1770. 1770 beach hire 2 h 2 hour SUP Beach Hire in 1770 $ 30	 2 hour SUP equipment hire in 1770. 2.5HR "ONE TO ONE" 007-lesson $ 220	 Book your private 1:1 coach! Achieve your personal goals faster; - Learn the basics, jumps or moves at your own personal pace. 3 activities, 1 free night accommodation ... KiteSurf 1770 Extreme Sport Package $ 299	 sup tour/lesson 2.5 h (includes trainer kite n wave riding) - 2 hours intro kite lesson - FREE 1 hour freebord training ! Can be done on 2 - 3 days, Price $ 299 .-. 6HR "ONE TO ONE" 002-lesson $ 550	 Book your private 1:1 coach! Achieve your personal goals faster; - Learn the basics, jumps or moves at your own personal pace. Antigua Black frame Blue polarized lenses OCEAN Watersports Antigua Black Blue Lens $ 65	 Black lightweight frames, with POLARIZED blue lenses. 100% UVA & UVB Protection. Antigua White Grey polarized lenses OCEAN Watersports Antigua White Blue Lens $ 65	 White lightweight frames, with POLARIZED Grey lenses. 100% UVA & UVB Protection. Aruba BLack Blue polarized lenses OCEAN Watersports Aruba Black Blue Lens $ 65	 Black lightweight frames, with POLARIZED Blue lenses. 100% UVA & UVB Protection. Aruba White Grey polarized lenses OCEAN Watersports Aruba White Grey Lens $ 65	 White lightweight frames, with POLARIZED Grey lenses. 100% UVA & UVB Protection. Bamboo Series All Around G3 All Around Package $ 325	 Bamboo Series All Around: Package Includes: G3 deck, two G3 trucks, 4 Freebord 70mm Standard wheels, 2 Freebord 59mm center wheels, S2 bindings. Combuco black frame yellow polarized lenses OCEAN Watersports Sunglasses Combuco black $ 45	 Black lightweight frames, with POLARIZED yellow lenses. 100% UVA & UVB Protection. Combuco blue frame grey polarized lenses OCEAN Watersports Sunglasses Combuco blue $ 45	 Blue lightweight frames, with POLARIZED grey lenses. 100% UVA & UVB Protection. Combuco red frame grey polarized lenses OCEAN Watersports Sunglasses Combuco Red $ 45	 Red lightweight frames, with POLARIZED grey lenses. 100% UVA & UVB Protection. The VOLT fits all wind conditions and has an exceptional range. Thanks to its three struts, the kite is light. The bar control is precise in order to feel the kite tension and its position in the air, but it’s also very forgiving to riders mistakes. © 2013 KITESURF 1770. All rights reserved.